Create chic handcrafted string lanterns with the added touch of gold sparkle to make your room shine! 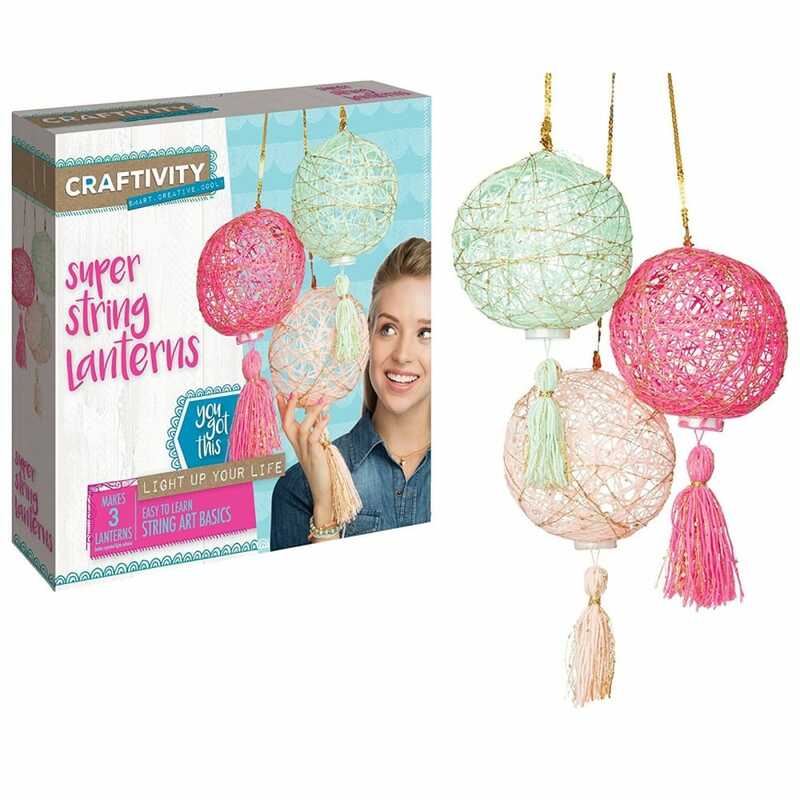 Learn classic string art skills as you craft these 3 beautiful lanterns with tassels and lights. Kit comes with everything you need crafting string, metallic accent string, sequin cord, inflatable crafting balls, tassel making tool, battery operated tea lights & holders, glaze, twist ties and gloves.